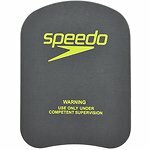 These togs are great for pool lap swimming, the straps stay out of the way for the different strokes and its very quick drying. I find the cut a little high along the legs, but I wear the swim shorts as well so it doesn't bother me. This is my second pair of endurance togs, only bought a new one cause I grew out of the old ones.